Sou | 2:17 PM Feel free to comment! 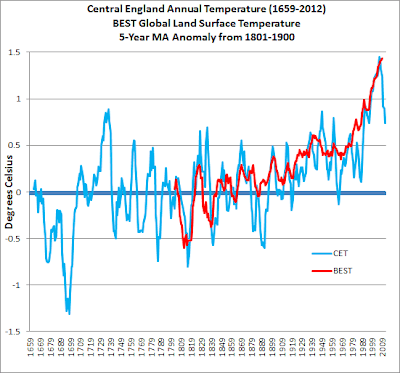 ...the point I want to put over is that temperature is highly variable throughout the CET record -which is at variance to Dr Mann’s (global) work and the assertions of the Met office. 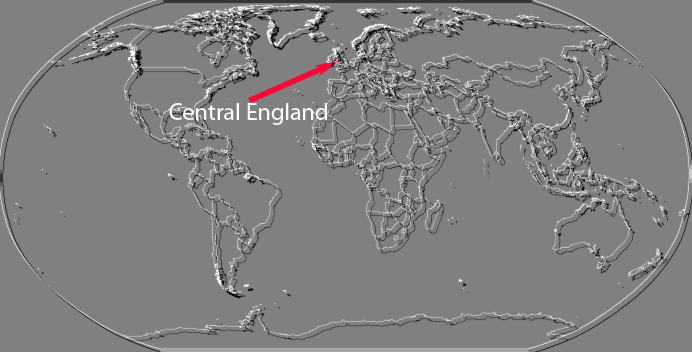 This is despite a constant level of co2 until around 1900. The temperature decline since 2000 as the CO2 line rises ever further is especially intriguing. 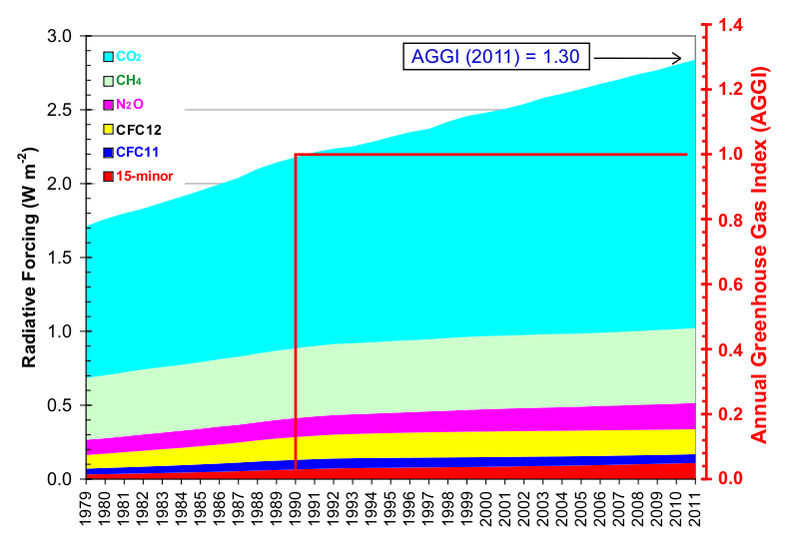 Does Tony think that before 1900 CO2 was the major forcing on global temperature? It wasn't. 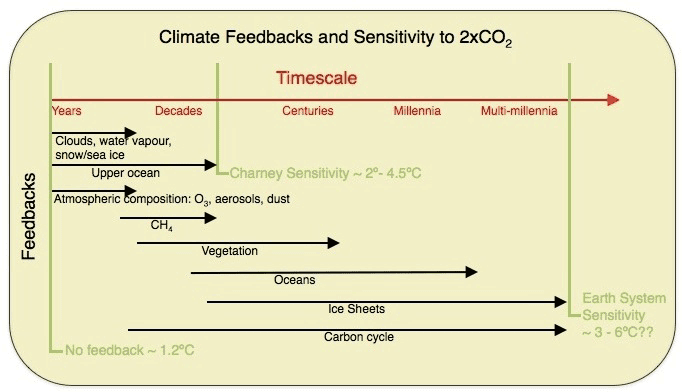 As he points out, for the Holocene until at least the mid 1800s, atmospheric CO2 level varied very little. I've chosen a five year average, an 11 year average and Dr Ben Santer's 17 year average (he says 'at least'). (Well, I took a liberty there - Dr Santer wasn't referring to moving averages.) Does your perception of the trend change looking over different time scales? 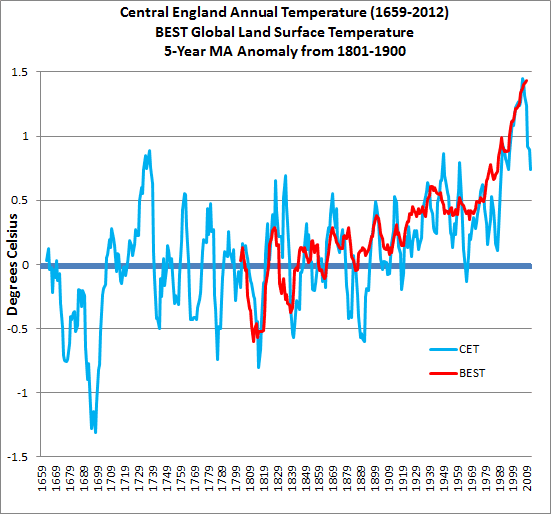 Now look behind the moving average trend line at the annual temperature anomalies. Since 1986 or so, the CET temperatures have generally been considerably higher than those of the previous two decades, with colder than average temperatures in 1996 and 2010. 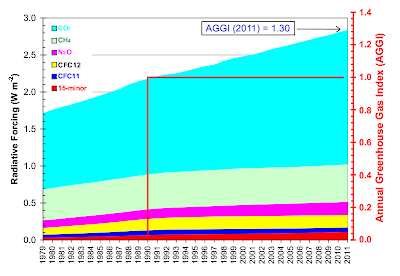 You'll recall that globally, 2010 was the equal hottest year on record (with 2005). 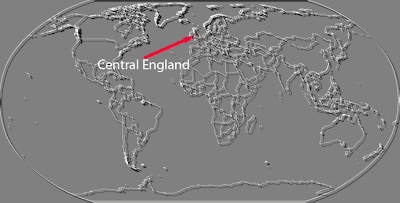 This demonstrates that the temperature in one small location in the northern hemisphere can't be extrapolated to the whole world. If that looks "scary" then so it should. Is it any wonder that some fear sensitive souls want you to focus only on two years' temperature in the middle of a small island in the Northern Atlantic? 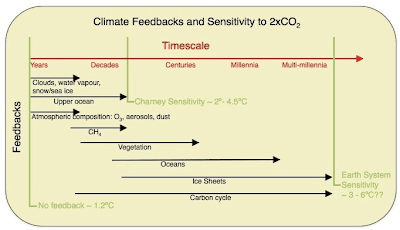 May 8, 2013 at 4:15 pm To my mind,almost all of the graphs I have seen can be easily explained by the simple hypothesis that CO2 has no discernible effect on temperature whatsoever. I think this one is no different. May 8, 2013 at 4:29 pm What it shows me is that there is essentially zero correlation between CO2 concentrations and temperatures. Temperature is all over the place when the CO2 concentration was essentially uniform for about 3 centuries and now that CO2 is rising rapidly temperatures spiked in the early phase of the increasing concentration then simply stopped rising as the concentration curve turns up. A stock analyst would look at those two plots and toss out the CO2 concentration as being meaningless for predicting the temperature. 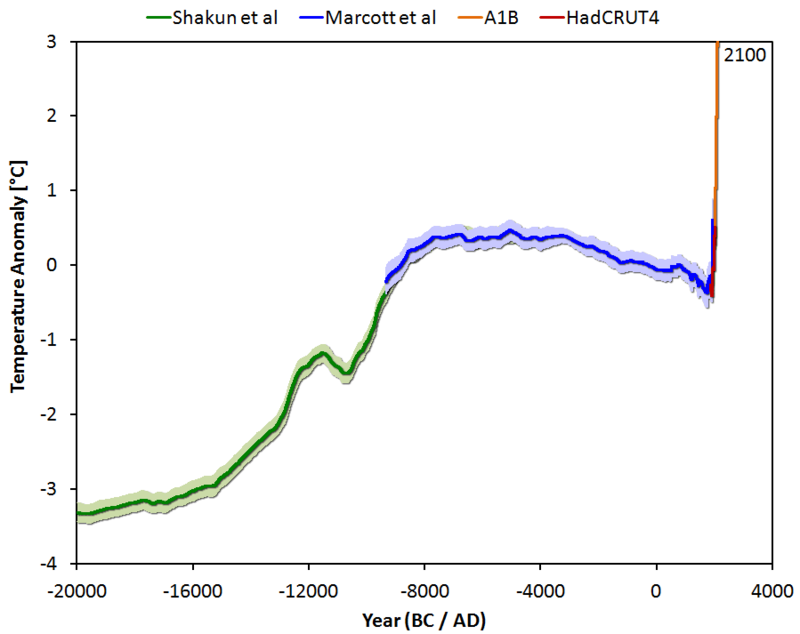 May 8, 2013 at 5:12 pm ...Humans have been influencing CO2 levels for millenia. Cutting down forests, killing the herd grazers, I find the CO2 levels rising from the start of the Industrial Revolution especially questionable. Coal replaced charcoal as the industrial fuel, and producing charcoal with pre-industrial technology requires a fire that burns for about 3 days (I’ve seen it done). Producing large amounts of CO2, black carbon and organic carbon. Whereas, mining coal produces little CO2. And deniers say climate scientists suffer from hubris!